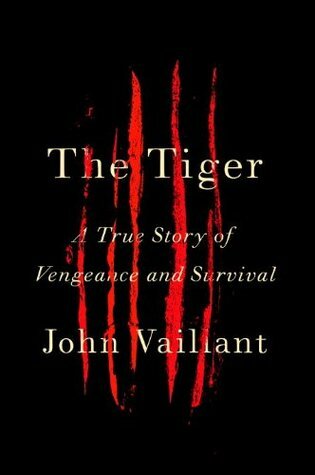 A similar elemental shock runs through John Vaillant’s book, The Tiger. Vaillant uses the true story of a series of tiger attacks in Siberia in the late 90s as a jumping off-point for a larger discussion of the complex relationship between humans and animals throughout our evolutionary history, a relationship that goes at least as far back as Chauvet and continues in the wilder parts of the world today. In this particular part of Siberia, tigers and humans have existed together for centuries, and have developed a kind of shared existence, a mutual respect. Vaillant is particularly good at tracing the ways in which the folklore of the area dovetails with science. Hunters there believe that you should leave part of what you kill for the tigers, and they will do the same for you, and violating that trust can lead to trouble. Siberian tigers, despite being over 500 pounds, ferocious, and brightly colored, can disappear into the snowy woods, willing themselves into invisibility and silence, an evolutionary tactic that goes a long way towards explaining why people believe them to have otherworldly powers. The balance between species was threatened after perestroika, when all of Russia basically went up for sale, and people living in remote areas lost their safety net. Tigers became valuable commodities and people began hunting them for sport and profit. In The Tiger, one of these beasts, it seems, became so sick of it that he started hunting humans. And not just hunting as in leaping out of the forest randomly, hunting as in tracking a man for days, waiting at his house, and, after killing him, leaving virtually nothing behind but his clothes. Hunting as in, it seems, bearing a grudge for past wrongs and tracking people down for it. According to witnesses, the tiger’s first victim seemed to be in a kind of supernatural thrall to the animal, drawn unwillingly and inexorably to it in the way that characters in legends of tigers are. Vaillant gives equal time to the victims of these attacks and the team sent to track and kill the tiger. The visceral tension of the chase is equaled by the thoroughly-researched presentation of tiger lore, science and history, with digressions into similarly extreme, intimate man-beast relationships in other parts of the world and other points in history. Like Herzog’s film, it gives an uncanny jolt, a kind of existential reminder of where we exist in the animal world, that some of its mysteries are for us to discover, and some to just exist in. I LOVED this book ... I couldn't put it down ... you end up sorta rooting for this badass tiger!!! ... I read somewhere that Brad Pitt bought the rights to it for a film ... He'd better NOT @#$% it up!!! I'm sold.! 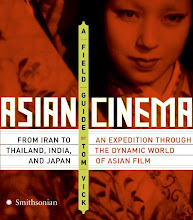 Great review,Tom and looking forward to reading it. By the way, @MattFeath, Brad Pitt will @#$% it up. Now I'm kinda rooting for a tiger to get Brad Pitt.